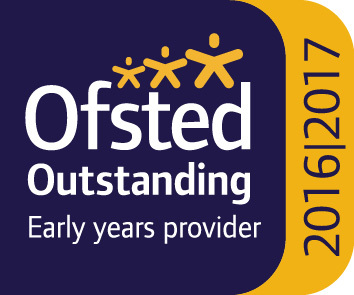 We are a strong team of very experienced and dedicated practitioners and we were very proud when we were awarded an Ofsted rating of Outstanding (September 2016). We work closely with our families and the local community to promote cultural and environmental links as well as a sense of belonging. Every child is different and therefore with your support, we will tailor your baby’s introduction to best suit both your needs. 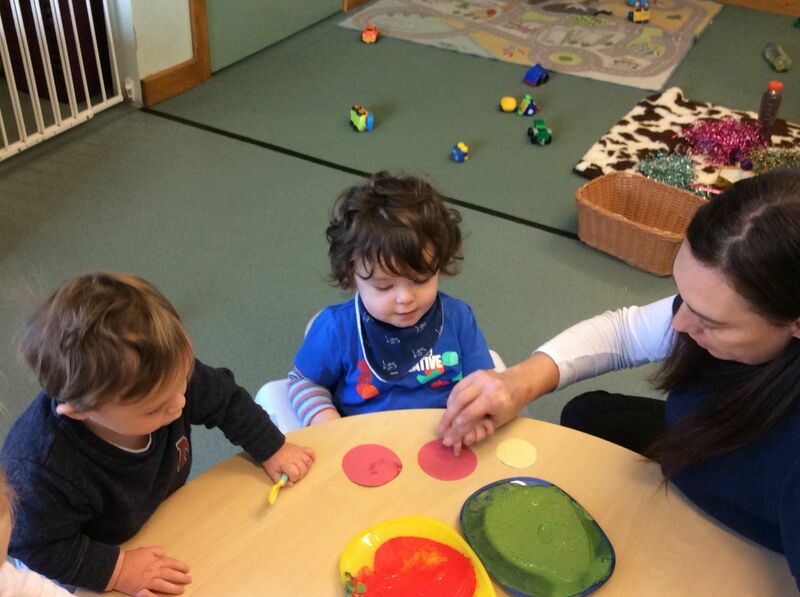 The Rainbow Room has been purposefully designed to provide a warm, homely and stimulating environment with a minimum staff ratio of one highly qualified Early Years Practitioner to three babies. The experienced and dedicated staff in this room are Maddie and Teresa who are supported by Aleisha. The room itself has under floor heating and the space is divided into a number of zones enabling younger babies to observe and learn from those slightly older whilst having the space to crawl, roll or sit in comfort and safety. We have a separate sleep room with lovely wooden cots to ensure that babies have a safe and peaceful place to rest that is not too dissimilar to home. Babies each follow their own feeding and sleep patterns closely complementing their home routine. Lots of one to one attention and encouragement enables each child to settle happily, developing their confidence and learning to enjoy social interaction. All activities meet the babies’ developmental needs and are planned in accordance with the Early Years Foundation Stage Framework. Babies are provided with a variety of opportunities to explore and develop their physical and language skills, through music, stories, singing and a wide range of sensory materials. Each baby has a dedicated Key Person who will work with you to ensure that their needs are met right up until they move rooms at approximately two years. 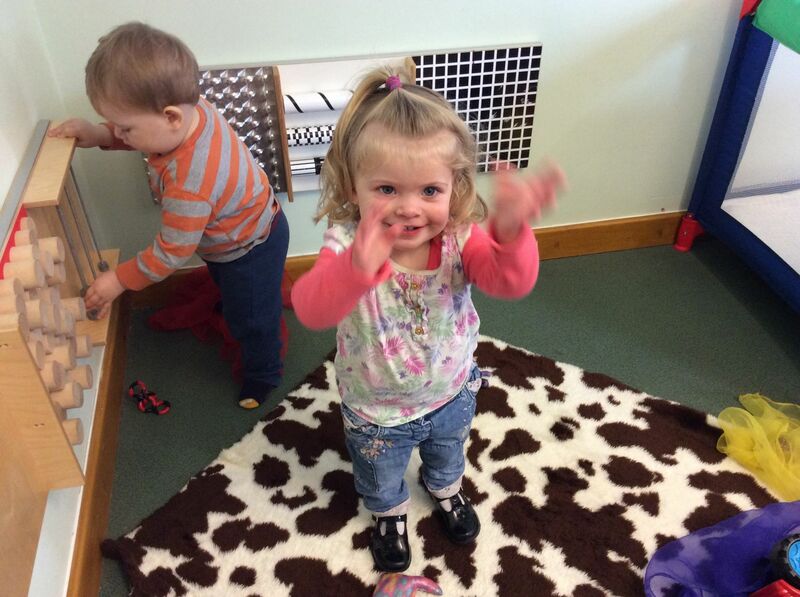 We take lots of photos and videos, and document all your child’s learning on our online observation system. For your piece of mind most of our staff have a paediatric first aid certificate and our key workers are fully qualified with bags of experience. We understand that choosing the right care for your precious toddler is an extremely important decision. Children join the Explorer group at 2 years (or the term after for funded children) and will be welcomed in to the big room. From the first time you visit we will work with you to ensure that you and your child are comfortable in our surroundings and you are given as much information as possible to help you make an informed decision. We want you to feel proud of your child care choice. Each child has an allocated Key person to support their induction. The experienced and caring staff in this room are Misha, Janet, Derryn, Aleisha and Luana. Every child is different and therefore you will meet the team to discuss the routine, activities and your insights into your child’s needs at this important stage of their development. With this information we are then able to tailor your toddler’s introduction to best suit both your needs. 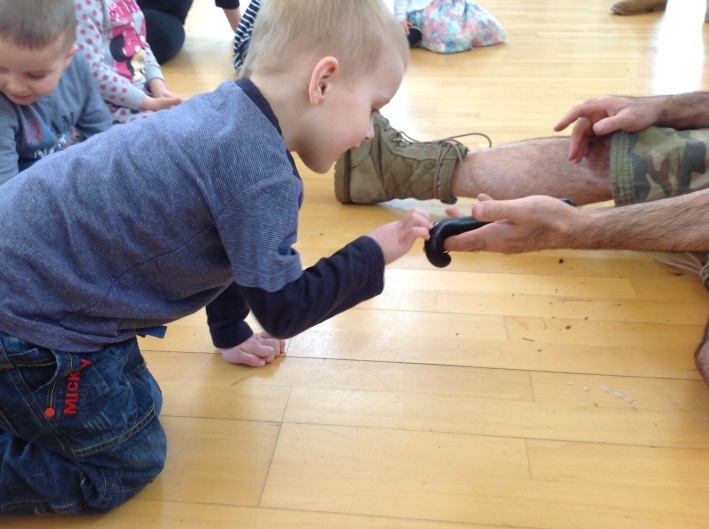 During their day at nursery, your child will have the opportunity to play in the garden, be creative and take part in music and movement sessions. 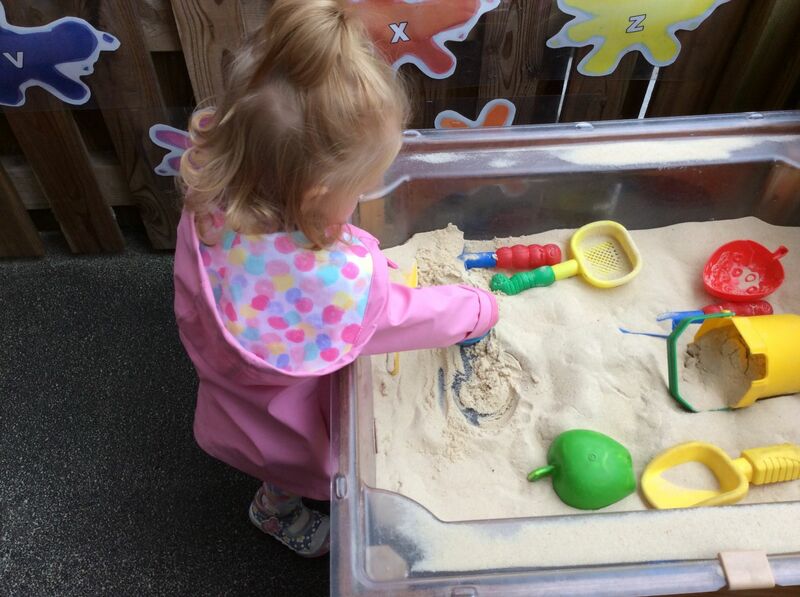 They will have free access to the sand and water trays that are filled with a variety of malleable and liquid mediums to help develop physical and sensory skills. There is also a choice of games, puzzles and construction equipment. The book corner is filled with a wide variety of books which children can look at by themselves as well as being read to in small groups. The children are encouraged to consider others by sharing and turn taking. We have a ‘free flow’ environment where children are encouraged to make choices about the activities they would like to take part in. 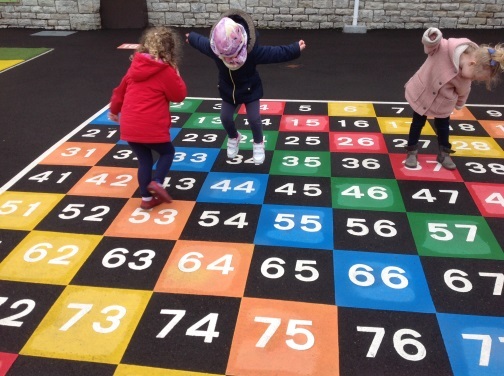 This could be dressing up in the Home Corner, painting, baking, and taking part in a planned activity, to activities that can be enjoyed whatever the weather in our outdoor play area. If your child still needs to have a sleep after lunch, when we ensure the room is softly lit and gentle music played to aid restful sleep and a much needed recharging of batteries!! 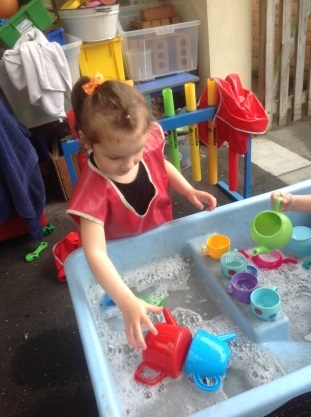 This is an important stage where children are quickly developing their independence. Potty training can begin at any time and is always planned in close consultation with parents as mutual co-operation and consistency are so important. We will discuss the routine and strategies needed to support your child and keep you informed of progress. By working together we are sure of a successful and stress free outcome! Physical activity and fresh air are extremely important for all of us, but we are extremely passionate about engendering a love of exercise and fresh air from the earliest age. 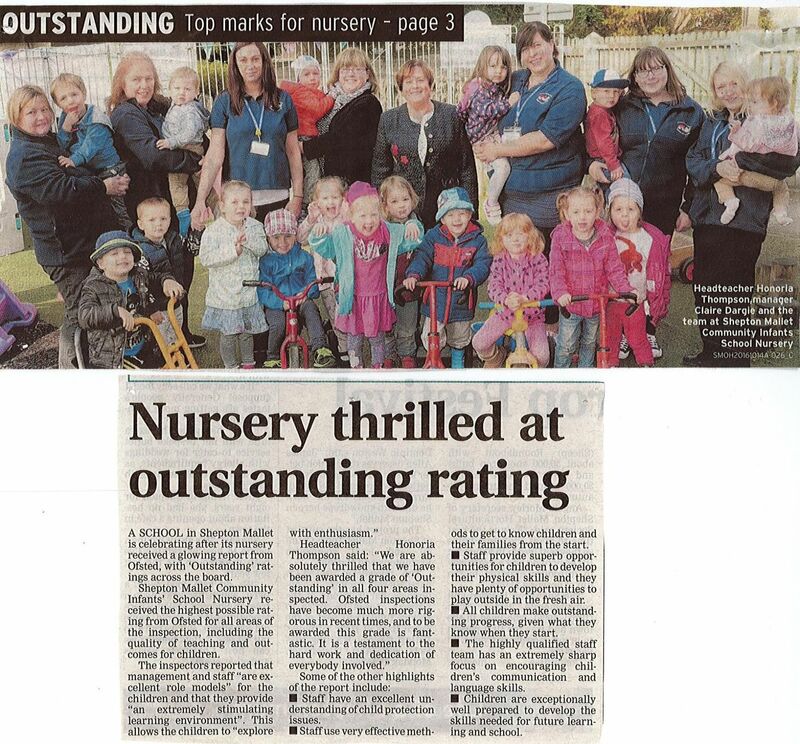 The Teacher in the Nursery is Mrs. Claire Dargie who is supported by qualified Nursery Nurses; each has their own key group of children. 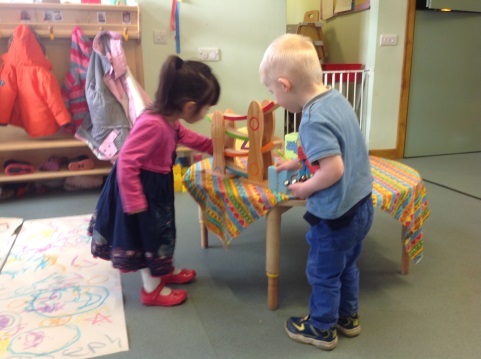 Having Key Workers helps the children settle and build relationships in the nursery more quickly. 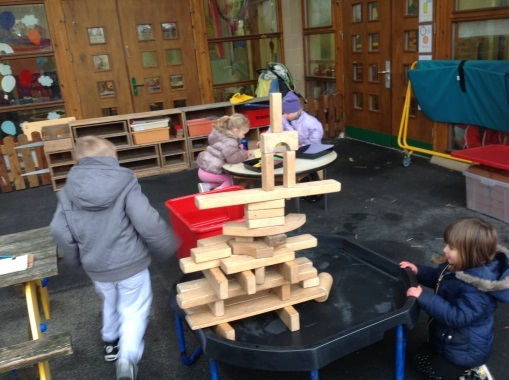 The team work closely to support the children in their play, making observations and assessments of the children’s progress along with recording their interests. 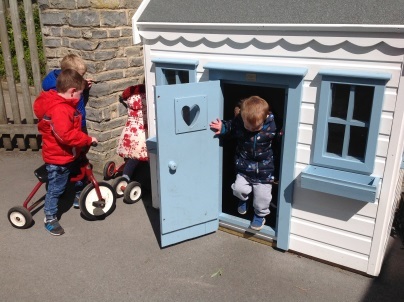 Outdoor learning is essential – the Nursery has its own safe outdoor environment. 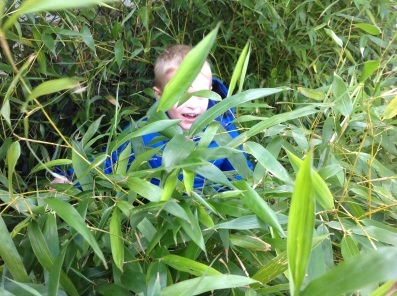 The outdoor learning mirrors and extends the indoor learning. Sometimes children are involved in an activity led by an adult, play planned by the adult and sometimes in spontaneous play arising out of their own ideas. Play activities and equipment are planned for specific learning outcomes. 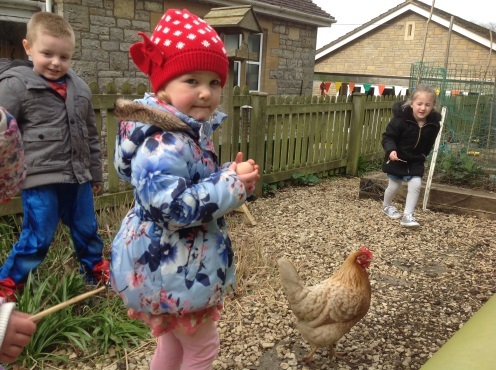 The Nursery Class at Shepton Mallet Infants’ School and Nursery has strong links with the main school. This means we have a unique opportunity to provide a smooth transition in to a mainstream school environment. The children from Nursery enjoy going into our school for singing assemblies and workshops and othe r school activities, and this prepares them well for school life anywhere. Their work is displayed in the school. They have the opportunity to see and talk to their siblings in the outdoor play areas. The children often meet Mrs Thompson the Head Teacher and other members of school staff who come in to Nursery to see them. 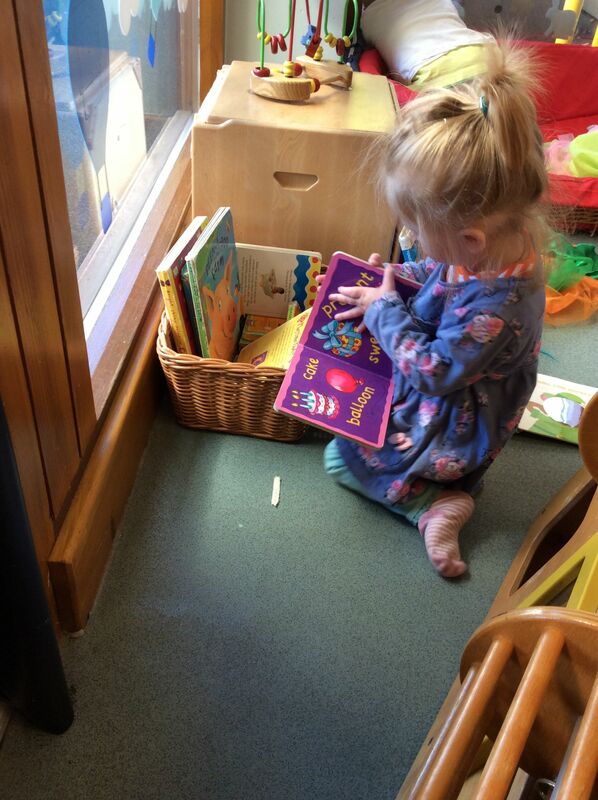 In addition to this, the Nursery children are visited by the older children from time to time and have many opportunities to share learning with them. There is a transition programme in place for children starting our Reception class in September. 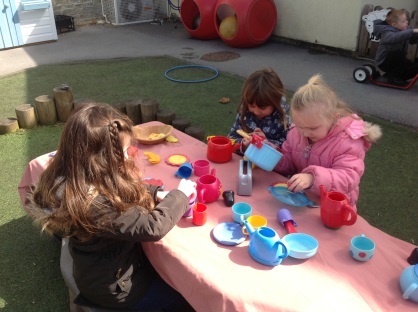 This involves informal visits to the Reception classes during the summer term, where groups of children are supported by a member of the Pre-school team to play alongside the current reception children. They get to know the staff and the environment before they join the class in September, making their start to school life smoother and more relaxed. Please click here to see our EYFS Policy. Please click here to see our Safeguarding Policy.